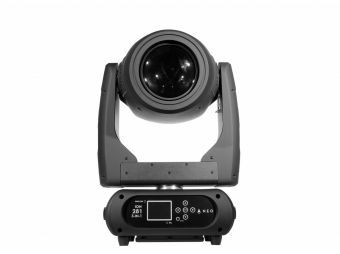 LIVE 24XL offers total connectivity thanks to its 24 high definition preamplifiers, 8 auxiliary sends, 1 independent output for the control room and 1 Ethernet & USB port for remote control, all this without counting its 12 DCAs. 12 100 mm motorized faders, 26 rotative potentiometers, dedicated encoders for panning and parameter control and an additional motorized fader to handle the master level of the mix complete a control surface that gives the ability to overcome any live-show circumstance. The 7" touch screen makes possible to control all the parameters of the mix with the fingertip. Easy navigation, easy signal routing and multiplicity of functions complete a graphical interface that, powered by its physical shortcuts, works fast and efficiently. Thanks to its USB and Dante® cards (not included), the controller offers the possibility of recording the mix, channels and aux sends easily and reliably. 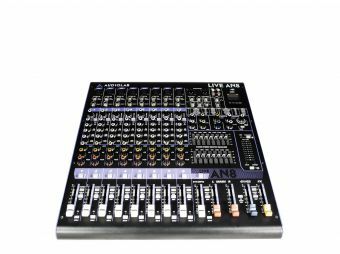 LIVE 24XL is a powerful & intuitive 24 channel digital mixer. The controller sports a 7" color LCD touch screen with a unique visual interface, in order to easily control the mix. LIVE 24XL has parametric equalization, compressor, gate, delay, phase inverter and DSP effects per channel. This innovative mixer has 24 mic/line preamps with dedicated trim control, 8 auxiliar outputs and 13 motorized 100 mm. faders, organized in two pages. 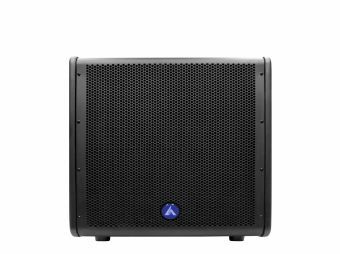 LIVE 24XL can be also controlled wirelessly by its own app, where the user can control every aspect of the mix with the tip of its fingers. Dimensions: 540x540x210 mm. / 21.2x21.2x8.3 in. Weight: 12 Kg / 26.4 Lb.